OK, the “La” does not stand for “Luxury”, but you’ve got to admit, La Jolla is one of the nicest towns in the whole wide world. Making La Jolla Luxury Homes some of the sought after as well. But not only is it one of the most affluent little towns, it’s also more in touch with nature than almost any other place. 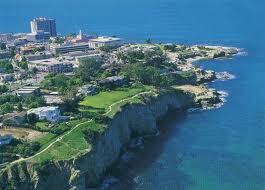 In fact, La Jolla is most known for one thing. It’s seals. It doesn’t get more “natural” than a bunch of seals taking over your beaches for days at a time to just chill out. Actually, I’m usre whatever it is they’re doing is pretty important seal business, but I’ve never taken the time to figure out what it is. But hey, I’m here to talk about houses, not seals. If you’re looking to buy in a gorgeous beach town, than you really should look no further. 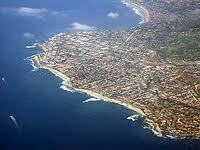 If you’re looking to buy a luxury home then the dream homes in La Jolla just flat out beat the competition. Hands down. It’s not just the homes are enormous, but it’s the way they’re built. La Jolla has a deep respect for it’s surrounding nature. You can tell because a lot of the natural landscape has been preserved, even though it’s been bought and sold time and time again. This kind of respect speaks volumes, not just about the kind of home you’re buying in La Jolla, but the kind of community you’ll be joining. Luxury is a way of life in La Jolla, but it’s not the ONLY way of life here. In fact, a lot of the people you meet, people who would be easily classified as “beach bums” anywhere else are most likely making more money than you’d think. La Jolla is not a flaunt it if you got it kind of place. And the La Jolla Luxury Homes follow suit. They’re not garish. They’re not overdone. There are no castles built someone who had a very small… self esteem. No, these homes, even though they’re large and in charge, are still somehow homey and dare I say cozy. La Jolla isn’t trying to impress anyone, simply because it doesn’t have to. If you’re ready to live a luxury lifestyle at a laid back pace, then maybe you should consider looking for your new home amongst the seals.